Founded in 1996, Stylus’ publishing focuses on higher education, covering such areas as teaching and learning, student affairs, professional development, service learning and community engagement, study abroad, assessment, online learning, racial diversity on campus, women’s issues, doctoral education, and leadership and administration. Stylus is the official distributor of the book programs of ACPA, Campus Compact, and the National Resource Center for the First-Year Experience and Students in Transition. Going to Toronto for the convention? Stop by booth 503 to the newest books from Stylus. Going to Toronto for the convention? Stop by booth 503--30% discount for on-site purchases. The lead editors and contributors of Difficult Subjects will be holding a Twitter Town Hall event next Wednesday, August 1st, at 2pm ET/11am PT. To join, log in to Twitter and follow the hashtag #DifficultSubjectsBook. 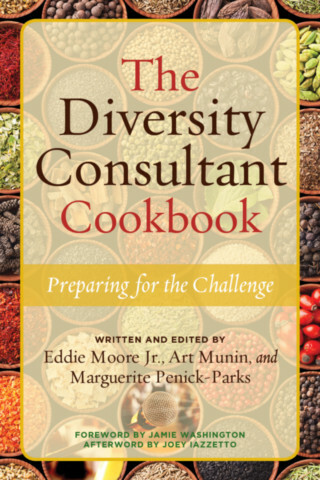 Sample discussion chapters are posted on the book page. From University Business Magazine, how one institution made the shift to helping underserved students reach their academic goals, featuring Governors State University President and author of Leading Academic Change, Dr. Elaine Maimon. Ruben was recently named Inaugural Winner of Baldrige Foundation Award for Leadership Excellence, for his development of the Excellence in Higher Education assessment and planning framework. Named after U.S. secretary of commerce Malcolm Baldrige, the Malcolm Baldrige National Quality Award program was established by the U.S. Congress in 1987 to promote U.S. corporate effectiveness. The model provides an organizational assessment process that combines scholarly concepts of organizational theory and behavior with successful organizational and leadership practices. Read the press release here. To read more on Professor Ruben and his Stylus titles, visit his author page. 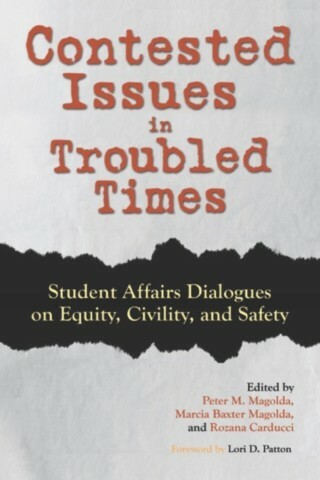 Stylus author Dr. Elaine Maimon was published in the Chronicle of Higher Education. Her article, A Checklist for Transformative Leaders, is an introduction to the material discussed in her new book, Leading Academic Change. Author Patricia Cranton has received the Houle Award for her book, Understanding and Promoting Transformative Learning, Third Edition, published in 2016 by Stylus. The Cyril O. Houle Award was established in 1981 to honor the scholarship and memory of Cyril O. Houle, Professor of Adult Education at the University of Chicago. It is given annually by the American Association for Adult and Continuing Education (AAACE) for a book published in English in the previous year that reflects universal concerns of adult educators. Nominated works should exemplify outstanding literature in adult education. To read more about the AAACE awards and recipients, click here. The Chronicle of Education's Lee Gardner interviews Z Nicolazzo, author of Trans* In College: Transgender Students' Strategies for Navigating Campus Life and the Institutional Politics of Inclusion. In the article, Z discusses the current legislation on transgender rights, the transgender student experience, and the importance of an inclusive campus. Read the full article here. "AAC&U has advocated for higher levels of transparency as a key principle of twenty-first century general education design. 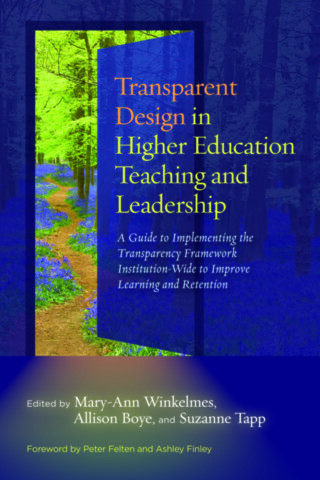 This book provides practical examples on how to turn that vision into practice at institutions and across systems. The Transparency Framework represents a strategy that has the potential to transform siloed student success efforts to scalable and sustainable models for quality and equity." "If we believe that international experience really does have great impact on our students’ ability to contribute cheerfully and productively in today’s complex globalized world, then we can no longer think about study abroad and domestic study away as a costly marginal frill for the privileged. We must instead re-think institutionally our educational propositions—and this book is structured to help us do just that. The authors suggest a radical shift: that we turn our thinking about the place of off-campus study in the undergraduate liberal arts experience upside down. Working from an analysis of the ways in which dislocation—moving away from the familiar campus environment—can impact learning, they suggest that well-designed off-campus experience should be not an optional extra, but one of the foundational building blocks of our curricula in all areas. If we can accept this radical proposition, then we can revitalize and renew our students’ learning. 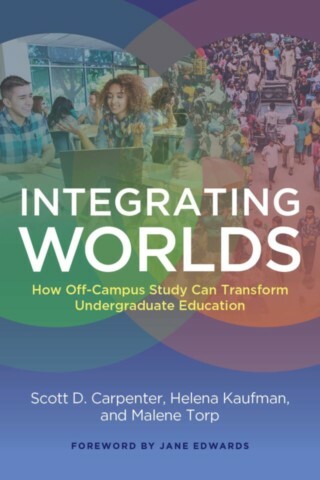 This book can introduce faculty and educational administrators who may have no experience at all with off-campus study to current thinking and practice in the field, but will also serve as a rich resource for international education professionals. And if these constituencies decide to bring together those who oversee off-campus experience in the U.S. with those who work in other countries, new and productive synergies can emerge. "POGIL is a well-envisioned and superbly-executed volume. 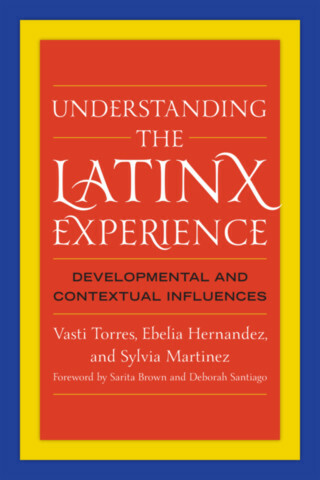 Initial chapters lay a comprehensive theoretical and empirical foundation for the POGIL approach. The following chapters provide an accessible scaffolding for implementing POGIL. The book is full of usable principles and informative examples for developing POGIL across a variety of STEM and non-STEM courses, even for large classes. This volume is a gem both for readers wanting an introduction to POGIL and for readers poised to initiate and improve their POGIL instruction." 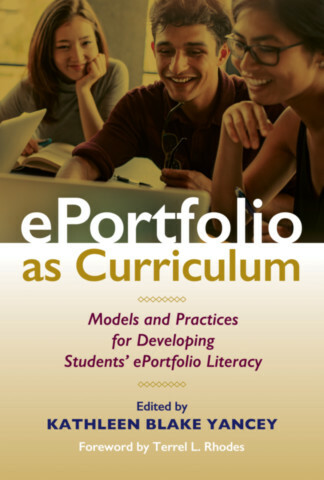 “Kathleen Blake Yancey’s ePortfolio as Curriculum is the latest, and in several ways the most profound, addition to the research and practice of ePortfolio – not a statement I make lightly given the panoply of scholars in the field. For those of you who are new to ePortfolio, this book is a wonderful place to begin the journey. If you are a veteran of ePortfolio, this volume is an encapsulation, a framing of ePortfolio practice and thinking that brings together research and application to learning in ways that translate into the results that inspired us to begin ePortfolios. 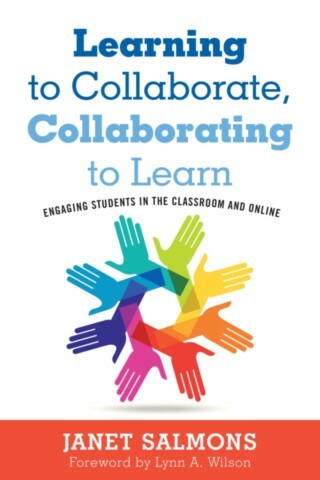 [This volume] beautifully identifies and presents achievement of three essential goals in the curriculum: 1) supporting student learners in creating ePortfolios in this encompassing understanding of curriculum; 2) fostering ePortfolio literacy, i.e., knowledge and processes; and 3) helping students become ePortfolio makers. In essence, helping students have the space and validation to create and develop their own voice and identity through the interactive and collaborative processes of ePortfolio.